Prepping doesn’t have to be a daunting task. It doesn’t have to empty the kids’ college funds. It doesn’t have to take every waking moment after work until bedtime. I recently edited one of the best books I’ve ever read for doing just that. It’s called The Prepper’s Yearbook. It’s by guest poster Erica Nygaard. She is another single mom who lives in rural Iowa. She works full time, raises her kids, lives on a super-strict budget, and still finds the time and the money to be well-prepared. And in her book, she explains exactly how she does it. She gives you all her secrets for getting stuff done. And better yet, she breaks it down in a way that isn’t the least bit overwhelming. You can start anywhere you want in the 83-page book (there’s still time to get those 5 tasks in August complete, you know!). Each month, you will check off the things you need to do, and you will feel a sense of accomplishment every time you do. 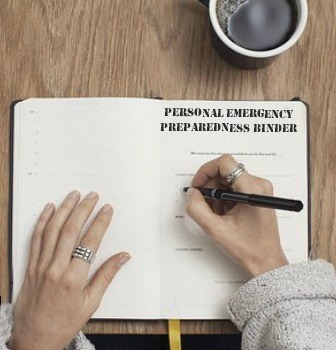 The tasks are simple and budget-friendly, and they’ll help you to prepare for emergencies large and small. 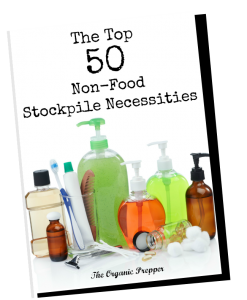 Take the overwhelm out of prepping and support a preparedness blogger. Get your book for $9.49! Erica Nygaard lives on a rural acreage in Iowa. She raises children, chickens, pets, and a garden. She is always trying new ideas in order to make the homestead better and the garden more successful. She is the main writer and creator at Living Life in Rural Iowa where she talks about prepping, homesteading, sustainable living, and frugal living. She is a passionate believer in being prepared and living as self-sufficiently as possible. When she is not doing all of that and working a full-time job, Erica likes to read, study domestic history, organize, cook, sell things on eBay, and learn new things.